When choosing a moving company to handle your household move, the first step is finding out more about their experience and professional resources. With Charlotte Van & Storage, you don’t have to look far to see that we are one of the most trusted names in the region! Since 1955, we’ve been an industry-leader for moves within Charlotte and across the country, and we’re proud to be a Mayflower moving company with a history of excellence. 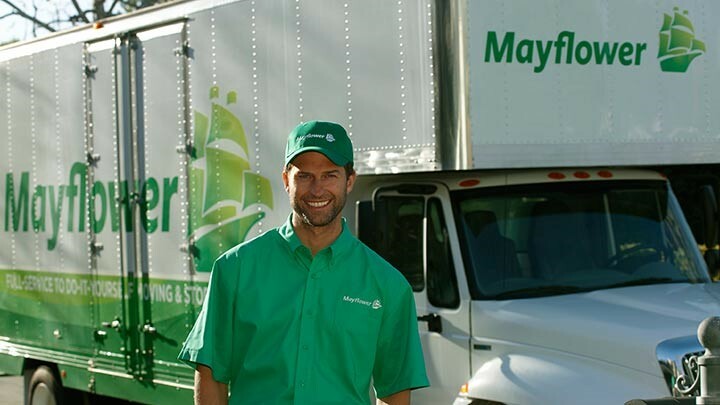 Mayflower Transit has long been one of the most respected names in transportation, and Charlotte Van & Storage has the Mayflower movers in Charlotte that you need for a guaranteed, high-quality relocation experience. Through our agency with this prestigious company, we’re part of a nationwide network of moving and storage professionals, and we also have the capability to seamlessly coordinate international moves through a partnership with UniGroup Worldwide UTS. Charlotte Van & Storage is the Mayflower moving company that you can rely on to provide you with the best possible moving experience, and we’d love to hear more your household’s needs! Give us a call today to speak directly with one of our Mayflower moving agents, or fill out our online form now to request a free estimate and no-obligation consultation.